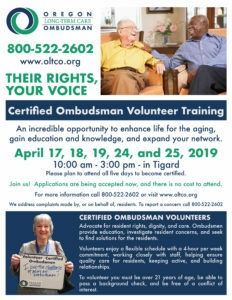 A five-day training beginning April 17 will be held in Tigard for Certified Ombudsman Volunteers. 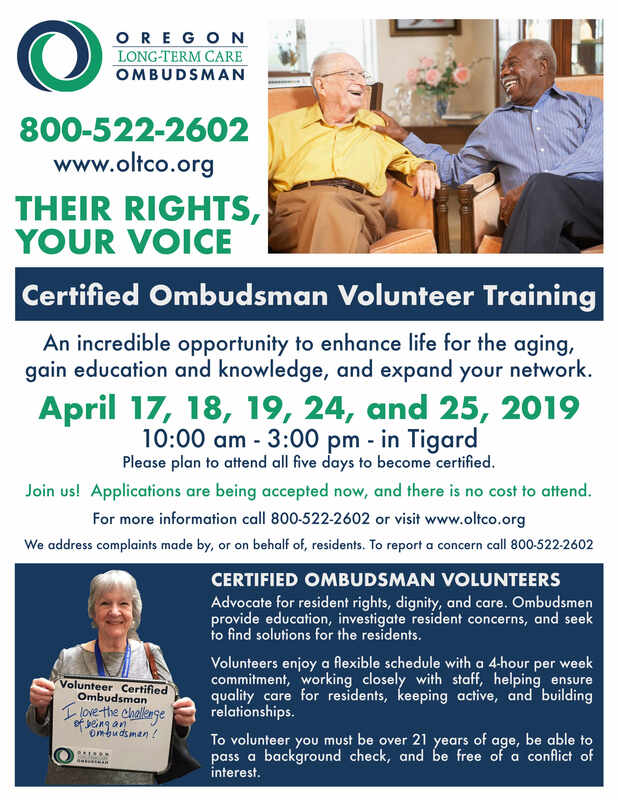 Ombudsman are advocates for your family, friends, and neighbors living in Nursing Homes, Memory Care, Assisted Living and Adult Foster homes. Become someone who can help be a problem solver and advocate for many who cannot speak for themselves. Call the office at 503-378-6303 for more information or to apply. To attend the training, an application must be submitted, an interview conducted, and a criminal background check completed. Applications due before April 1, 2019.